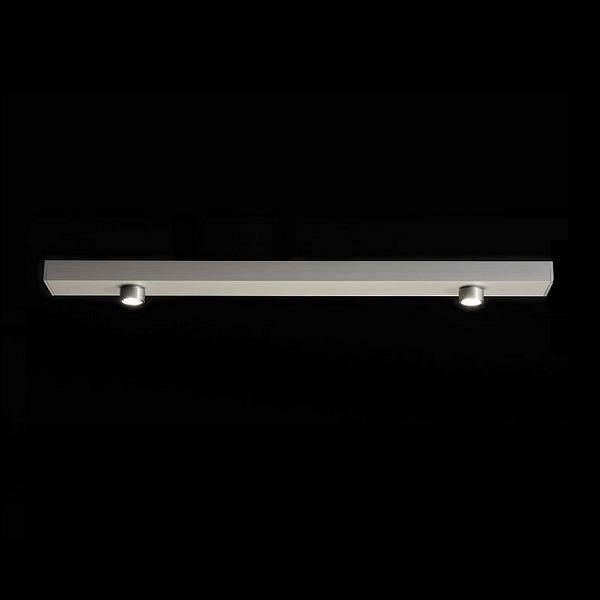 The Ecco LED Mini Duo of LDM is a compact and functional ceiling light with a simple design. The lamp made of aluminum and consists of a bracket with two equipped with LED lighting elements. These provide a direct light downwards and thus ensure a targeted and above all energy-efficient illumination. The Ecco LED Mini Duo is thereby supplied with three lens attachments through which the light effect of the light can be adjusted individually. So beam angle of 15 °, 25 ° and 43 ° are possible, whereby the light can be used as a targeted and highly focused spot or able to provide a larger area lighting. Thus, the Ecco LED Mini Duo of LDM to a flexible, efficient and modern ceiling lamp is a perfect addition to any hallway or office area.